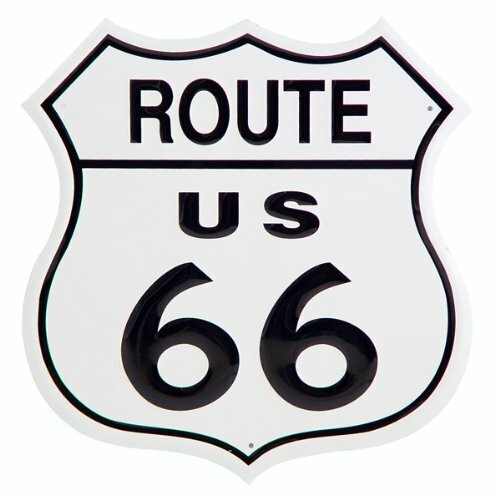 This Route 66 Shield Tin sign would look great hanging in your garage, home office or game room. This historic sign brings back memories of unpaved roads & gas stations sometimes 100 miles apart! Compare that to the 21st century where there are very few unpaved roads and a gas station pretty much on every corner! This sign represents freedom and Americans traveling West in search of better opportunities. Made in the USA! Ask a question about Route 66 Shield Tin Sign.